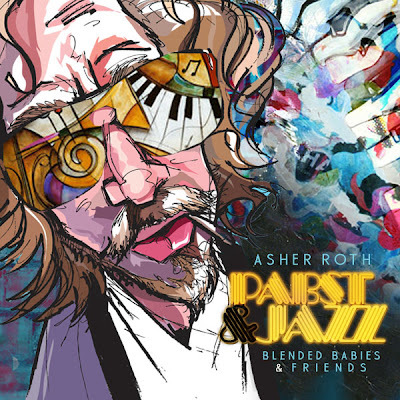 1) I want to start with my back story behind how I found out who Asher Roth was... Most of you know my love for Pac Div and one of the main reasons I dig the Div is because of how much energy their shows have. I feel like when you see an artist live you grow a certain respect for them based on how they perform. Well I happened to see Asher and Pac Div at the same time in SLC, Utah and Asher had an amazing set, but it wasn't that that won me over it was about midway through his set and something I would've never expected from a Asher Roth concert happened. He came rolling out on a power wheel and played "Candy Rain" by Soul 4 Real and I was sold one of my favorite childhood songs and he made the rap set fun. To me he is like the more serious version of Eminem with a laid back style, it just works for me. If you want to catch Roth in concert your lucky because he will be in LA on 12/30 at the Viper Room in West Hollywood! I've already got my tickets, this show will be special because he's going to have a live band and I would bet money that Chuck English & Chip Tha Ripper (LA Residents) will be in attendance or atleast I hope. Not only will a live band be there with special guest but the tickets are super cheap and its a small environment so you can't go wrong. Cop tickets here. 2) If you've been in a cave and don't know about Blended Babies you need to come out these dudes are solid producers. When I heard they were doing a whole mixtape with Asher I was again sold. I feel like the sound works really well with Asher's style. They've done a lot of solid work but if you want to hear a instrumental beat tape from them head over to iTunes for the Shooter McGavin joint. Now that I got all that out take a listen & download if you like I have a feeling you guys won't be disappointed. Plus anyone who names their mixtape after PBR & Jazz is a fan of mine. ENJOY!